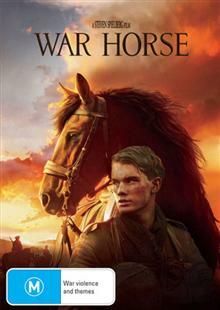 "War Horse," an epic adventure for audiences of all ages. Set against a sweeping canvas of rural England and Europe during the First World War, "War Horse" begins with the remarkable friendship between a horse named Joey and a young man called Albert, who tames and trains him. Wh... read full description below. farmer and his granddaughter - before the story reaches its emotional climax in the heart of No Man's Land. stories of friendship and war- a successful book, it was turned into a hugely successful international theatrical hit that is arriving on Broadway next year. It now comes to screen in an epic adaptation by one of the great directors in ?lm history.